The EU warned Sunday of a new row brewing with Italy over its budget, barely a few months after both sides agreed on a hard-fought deal with Rome's disputed 2019 finances. "I'm really worried. In no other EU member state has the economy cooled so dramatically. Already in our winter forecast, we had expected Italy to post growth of only 0.2% (in 2019)," said European Commission Vice President Vladis Dombrovskis. "It shows clearly that the direction taken by the government in Rome is damaging for the economy. The interest rates have risen, instability also," he told Welt am Sonntag newspaper, noting that investor confidence has failed to improve in the country. The commission will take stock of the situation in June and discuss next steps. Italy's public debt is a big problem and now sits at €2.3 trillion, or 131% of Italy's GDP - way above the 60% EU ceiling. After a bitter row, Italy's populist coalition government committed to not adding to its colossal debt load this year. But Rome's projection for its 2019 budget was based on growth of 1% of GDP, which international organisations now view as too optimistic. The International Monetary Fund sees growth reaching only 0.6%, while the European Commission's forecast is far more pessimistic, at just 0.2%. "Rome's growth forecasts are too optimistic," warned Dombrovskis. "It doesn't make things easier that the spending programme decided by the government for 2019 will be pushed back and hit the budget in the coming year. "We see the situation as problematic and expect difficult discussions" with Rome, he added. 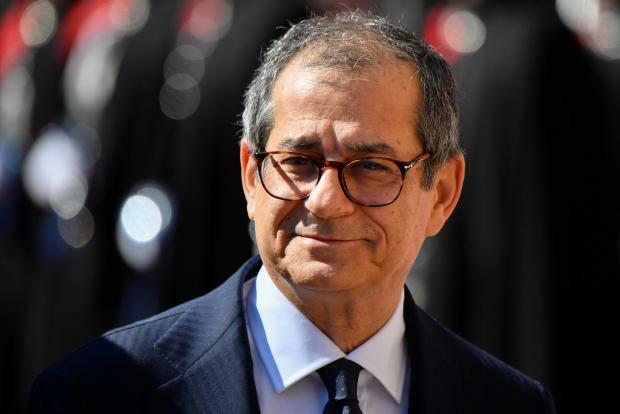 The Italian economy contracted in the fourth quarter of 2018 because of a slowdown in exports, plunging the eurozone's third-largest economy into recession and increasing the government's budgetary problems. Despite the difficulties, he believes it is still possible to find an accord with Rome. "We have also had difficult discussions with the previous governments but at the end, they managed to find solutions to limit their debt.